A testing, fun activity suitable for all ages and abilities. 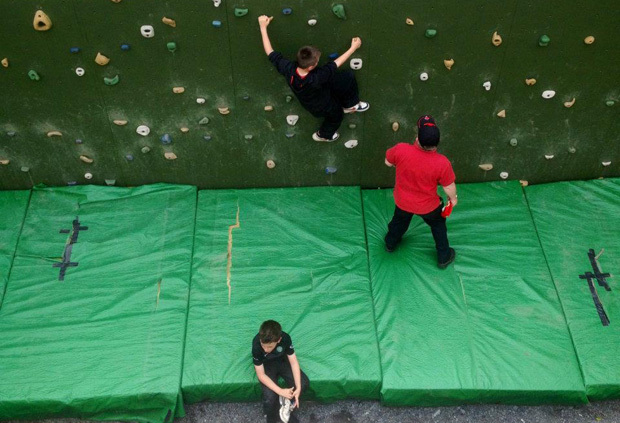 Traversing or Bouldering walls are low height, mini climbing walls, offering a climbing experience that is testing and fun for all ages and abilities. 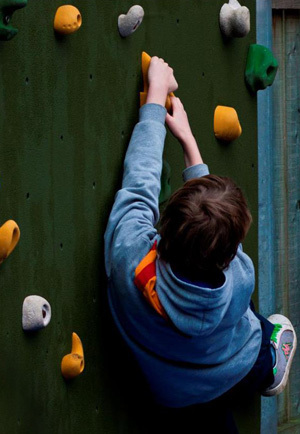 With no helmets, ropes or experience necessary, bouldering is a safe fun way to try climbing whilst remaining just a few feet of the ground. Can you find your way out? Can you navigate you and your team through this challenging maze? Now can you do it blind folded? This is a self led activity aimed at our younger members Beavers and Cubs Scouts.